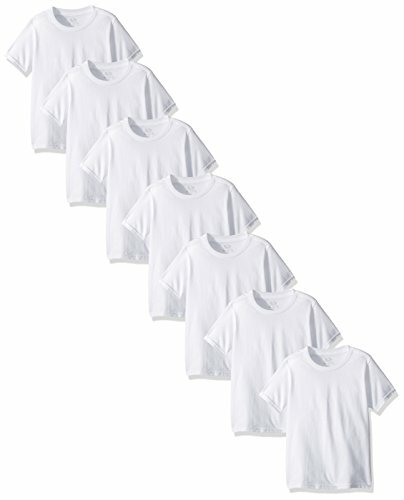 Fruit of the Loom boys' t-shirts offer a classic look for layering under other clothing or wearing alone. Our t-shirts are tag free and made with durable, soft cotton. Fruit of the Loom boys' t-shirts are designed with longer length, better fitting sleeves and a true to size fit that is guaranteed to fit your boy comfortably throughout the day.